Former Fatah strongman Mohammed Dahlan denies Israeli reports that he had met Netanyahu's envoy. Former Fatah strongman Mohammed Dahlan on Thursday denied media reports that he had met with an Israeli official as part of discussions to be a potential replacement for Palestinian Authority (PA) Chairman Mahmoud Abbas. 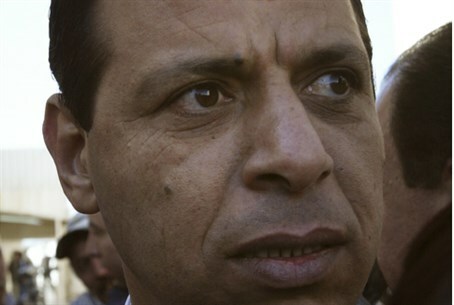 Dahlan told the Bethlehem-based Ma'an news agency that he has not met with Prime Minister Binyamin Netanyahu’s envoy, Yitzhak Molcho, for personal or political reasons since the late 1990s, when both officials were involved in negotiations. "If the Palestinian people's interest requires that I meet with any Israeli personality at a lecture, a conference or any other occasion, I do not do that secretly behind the scenes as some Palestinians did while Israel besieged our late leader Yasser Arafat," he said. The comments come in response to a report in the Israeli Ma’ariv newspaper, which said that Israel was carrying out secret talks with banished Dahlan. According to the report, Netanyahu had dispatched Molcho to meet with Dahlan in Dubai, where he absconded to in 2010 when he was thrown out of Ramallah. The report indicated that Israel has decided to renew contacts with Dahlan in preparation for a scenario in which Abbas steps down because he will refuse to sign an American negotiation framework that would require him to commit to dropping all future claims against Israel, and to recognize Israel as a Jewish state. Dahlan called the Ma’ariv report pure "fiction" and said that people like him would never accept what the Israelis are proposing in peace talks. A former security chief in Gaza under Fatah, Dahlan was ousted from the party in 2011 and fled to Dubai. His home in Ramallah was later raided by PA security forces. Fatah's Central Committee said at the time that he was expelled for harming “Palestinian national interests” and coercing outside parties to commit crimes over a number of years. The committee said that Dahlan had led a racket which stole money from the Palestinian Investment Fund and controlled crossings and the movement of goods and people. In the past, Dahlan was accused by PA officials of sending Israeli arms to former Libyan leader Muammar Qaddafi and even of murdering former PA Chairman Yasser Arafat.